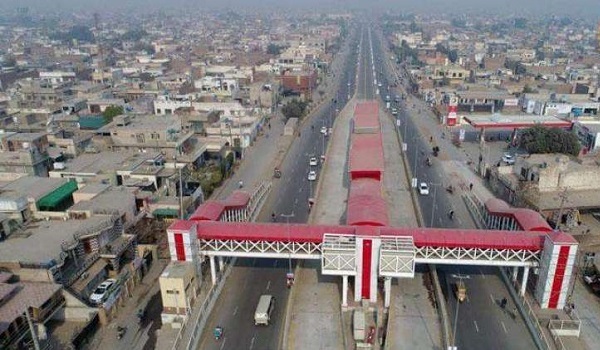 Sargodha: The city district administration has decided to remove all service roads in the city and transform these avenues into dual carriageways, reported a news source. The departments concerned have been instructed to get an estimate on funds required to make these changes. The decision has been taken to remove hurdles in traffic flow. Under this plan, the service roads along the avenue linking old GST Adda with Qainchi Morr will be removed. This will effectively solve the traffic-related issues on this important road avenue. Local lawmakers have been requested to play their part. In this regard, issuance of special funds is requested. The plan to remove service roads in the city is connected with the ongoing drive against encroachments. It has been observed that a big chunk of service roads in Sargodha has been illegally occupied by the people. This causes constant traffic jams, leading to poor traffic control in the city. For more updates on removing service roads in Sargodha and converting them to dual carriageways instead, stay tuned to Zameen News.